Stand out from the crowd with SparkMyResume. 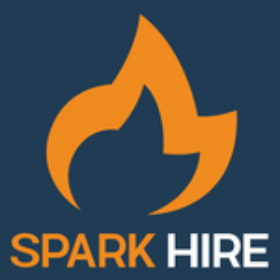 "Sparked Resumes" get 4x as many interview requests as standard resumes. Are you looking for a new job or another employment opportunity? We offer a unique Resume Booster that will Spark Your Resume to enhance your chances! If you are a Veteran, get the job you have earned! If you are a Graduate Student, put yourself at the head of the class and get the job you deserve! Best of all it is free and only takes about 30 seconds to get! Add your certificate to your resume and all your job profiles. Our mission is to help employees get the competitive advantage they deserve. Add your certificate to your resume and all your job profiles. We search hundreds of tax credits to show employers why your resume is the perfect choice. You bring Tax Incentives to your new employer. This gives you higher consideration. This is a very easy way to set yourself apart from the competition. Get HR to pause and give you extra consideration. This is a new tool for the tech savvy job hunter! We are your Bridgeway to New Employment!